Engrave this elegant brushed gold plated playing card design money clip. 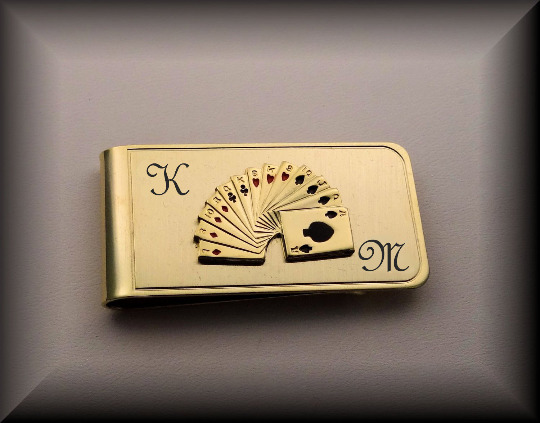 This great looking money clip features a unique finger grip design that will hold bills securely. 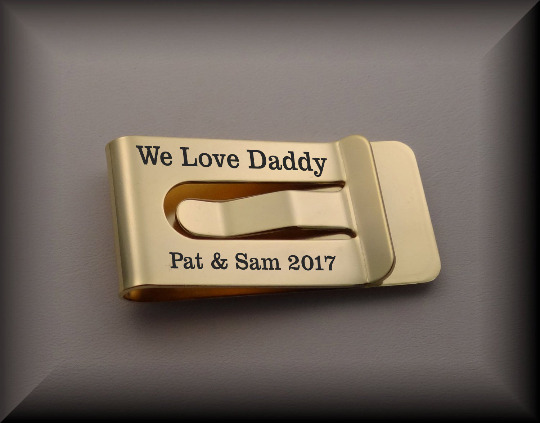 Add a special personal touch with the engraving of your choice at no extra charge. Includes an elegant gift box.